"I was born at No 11 Bishpool Estate and lived there until I was 23. My mother brought up four of us boys in the house. Everybody knew everybody and help and support through the various problems was always forthcoming. The majority of us had nothing but everything was shared. The prefabs afforded us a good home. I can remember the frost on the inside of the old Crittal windows and the pipes freezing over for days, then the water bubbling out of the ground (or in the house) as it thawed. Climbing up onto the roof to bang the chimney pipe with a bit of iron to 'sweep' it. Getting wood from 'up the break' and the various woods around to supplement our coal supply. Our gas fridge used to go out regularly, and fuses blew readily, the warm air central heating never worked for as long as I can remember. We had everything there we could want, except the stigma that some financially better off than us tagged us with. I loved my prefab and I loved all my neighbours. I can't go back in time, but if I could, I would like a shot." 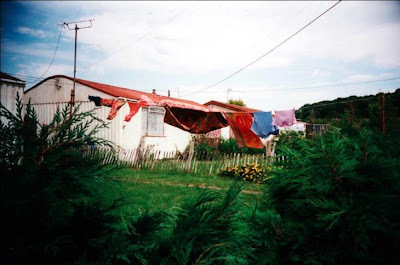 "I lived in a prefab on Treberth Estate until I left to go to University in 1969. 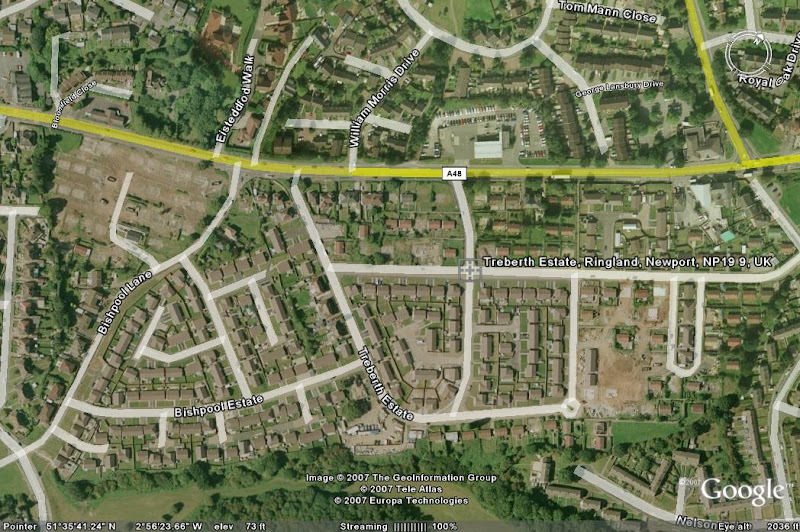 It was a great place to grow up - a big garden, lots of neighbours and a friendly community. The prefab wasn't very high - my sister and I climbed on the roof of the prefab one day to see what it was like. She jumped - and broke her leg. I climbed down and got a neighbour to get an ambulance." "Down the road from Newport, the estates of Bishpool and Treberth looked like little villages. 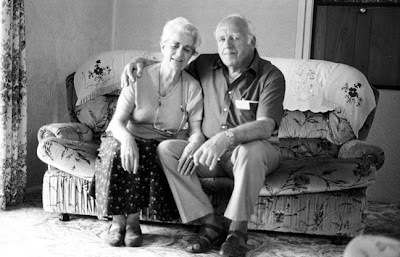 When I met Ray and Jean, they had bought their prefab 12 years before, thanks to the Thatcher’s “Right to buy”. 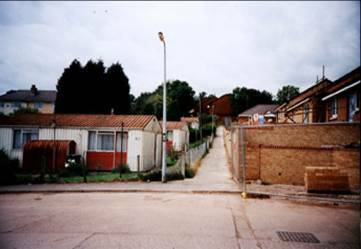 Even prefabs tenants had the opportunity to become home owners. 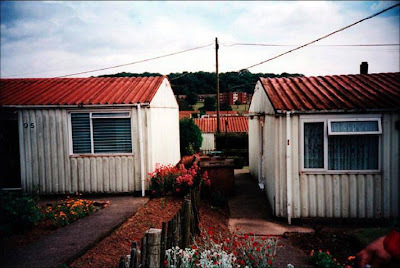 There used to be around 60 prefabs in the Treberth and Bishpool estates 4 years ago. There is none left today."